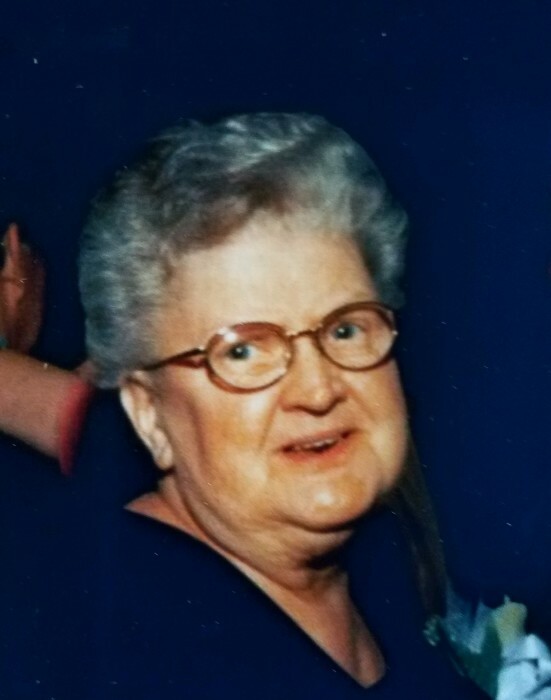 Mrs. Sonia M. (Johnsen)(Lavoie) Cahill, age 89, a former longtime resident of Lowell and more recently of Chelmsford, passed away on Sunday, March 31, 2019, at Sunny Acres Nursing and Rehab Center. She was the wife of the late Gerald Lavoie and the late Paul Cahill. Born in Lowell on October 27, 1929, she was the daughter of the late Percy H. and Laura C. (Larsen) Johnsen. She was a longtime member of the Former Fellowship United Methodist Church and then the Centralville United Methodist Church and a member of the Centralville Fellowship Friendly Circle. Sonia enjoyed York Beach, crocheting and search word puzzles and the time spent with her family and friends who all knew her lovingly as NANA. She is survived by three sons and three daughters in law, Edward C. and Jane Lavoie of NC, David P. and Cathy Lavoie of FL and Timothy D. and Joanne Lavoie of Lowell; a daughter, Geraldine M. Dufresne of Chelmsford; a sister Deanna Shockley of Lowell, eight grandchildren, Tracy and husband Jason, Kerri and husband Daniel, Lauren and wife Catherine, Brian and wife Kim, Nicole and fiancé Travis, Samantha and husband Daniel, Tori, and David; ten great grandchildren; and many nieces and nephews. She was the grandmother of the late Katrina Nelson, mother in law of the late Roger Dufresne and sister of the late Gloria Shea, George Johnsen, Audrey Holden, Russell Johnsen, and Paul Johnsen. The family would like to extend their sincerest appreciation to the staff at Sunny Acres for the exceptional care given to Sonia. CAHILL – Sonia M. Cahill. Relatives and friends will be received at the TYNGSBOROUGH FUNERAL HOME, 4 Cassaway Drive, Tyngsborough on Wednesday from 4 to 8 p.m. and on Thursday morning from 9 to 11 a.m. Her Funeral Service will take place immediately following at 11 a.m. in the funeral home. Committal services will follow in Edson Cemetery, Lowell. In lieu of flowers, the family suggests donations in her memory to Sunny Acres Nursing and Rehab Center, 254 Billerica Rd., Chelmsford, MA 01826 or the American Cancer Society, 30 Speen St., Framingham, MA 01701. For online condolences or directions, please visit www.tyngsboroughfuneralhome.com. Funeral Directors Roland W. Martin and Daniel R. Martin.